I drafted that paragraph early this year, but didn’t finish the post; that ‘present’ is already past, and the ‘future’ referred to is more or less present. And if I don’t write an update soon it’ll be history. So here it is, an update. It’s more a snapshot of what I’m doing now, rather than the narrative of how I got here – that’ll have to go on the blog post backlog. Effective management of digital information is vital for good policy making and ensures government is able to meet its statutory obligations. The holder of this new role will be responsible for leading a cross-government work programme to improve how departments manage and exploit the digital material that they create. This role offers a rare opportunity to combine policy, delivery, cross-government transformation and external stakeholder engagement. You will lead an expert, multidisciplinary team to develop new digital information standards, a new compliance regime and departmental support arrangements in order to achieve real and lasting improvements in government digital information management. This is a high-profile area in which think tanks, media and academia are taking an increasing interest. This post will enable the successful candidate to design and deliver solutions to the pressing challenges set out in the report Better Information for Better Government. It will give the holder the opportunity to develop their profile and impact at the heart of government, as well as their leadership, policy and delivery capability. The successful candidate will be expected to develop their personal credibility on digital information issues and create a network cross-government and externally to further this policy agenda. One of the reasons I decided in 2015 to leave the Civil Service was because there didn’t seem to be anyone in central government at that time interested in doing the things described above. I’d done some good things in that vein in one agency of one department (see Changing the way Dstl thinks, connects and acts), but I was convinced there was an opportunity to improve the way we work with information more broadly in government. I took up post at the start of July 2017 in the middle of a ‘re-scope’ and had the opportunity to influence the shape of the future programme. It’s a little early to say too much about that as things are still shaking down after the first steering board. But I’m happy we have an ambitious vision for a long-term programme with a broad scope. And I’m now officially the Programme Manager of the Better Information for Better Government programme. If you want an insight into how I’m approaching this role I think it’s fair to say I still stand by more or less every word I wrote last year in Helping Civil Servants help Citizens which concluded: “The public sector as a whole will not be able to embrace the benefits of the web’s third decade and beyond if it remains shackled to a records approach designed three decades before the web was invented.” I also remain committed to the ideals and principles set out in various blog posts about what it means to be #OfTheGovernment, #LoyalToTheNetwork and part of #OneTeamGov (all credit to some great thinkers, writers and doers: @xcaplin, @jukesie, @jereeve and @kitterati). I’m very excited about the potential to do good things – to help make the civil service a more accountable, efficient, effective and better place to work – whilst being well aware of the cultural, small-p political, financial and technical challenges. Of one thing I’m certain: I can’t do it alone and I can’t do it with just my team. I need the support, engagement, challenge and help of my network. I’m confident I’ll get it, which makes me a very lucky person indeed. Two years ago I wrote a post called On camping… and #camping contrasting the familiarity of holidays under canvas with the novelty of my first gov/tech unconference experience at UKGovCamp15. Sitting in a tent near the Wye valley in Herefordshire (in a camp site that has a “quiet field” and a “very quiet field”) it feels like time for an update. Thanks to a two-week lag between letting our house and the flat we were to rent in Limehouse being available we did end up ‘camping out’ in a friend’s vicarage in Suffolk for a fortnight. That turned out to be quite an enjoyable mini-break, if tinged with a distinct feeling of being in limbo. 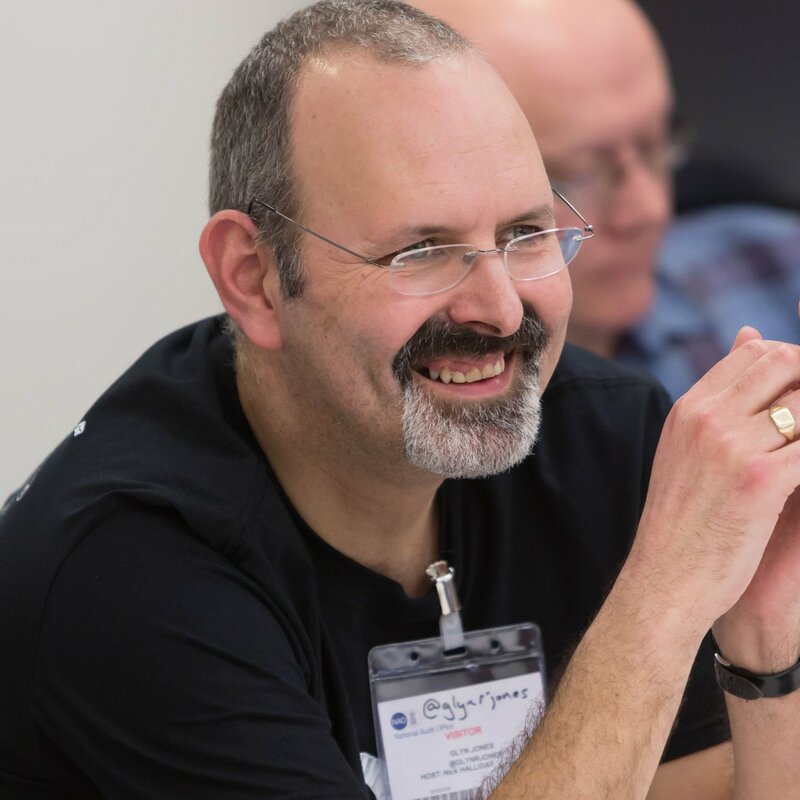 I have managed over the last two years to keep up with a good range of unconferences, some of which have featured on the blog (Post #Camp Blogging about UKGovCamp16 and Open Data Camp Hat-Trick (Day 1) / (Day 2) about ODCamp3). There are many more which I’m ashamed to say I haven’t written up: ODCamp2, Newscamp15, Healthcamp15, LocalGovCamp16, BarCampNFP16, ukgcX (aka UKGovCamp16) and ODCamp4. That list is a blog post backlog to address at some point. I’ve also missed a couple of events I really wished I’d been at, most notably the 2017 #OneTeamGov game-changer that @kitterati organised. I wanted to attend, but at the time I felt I would have been awkwardly cast: no longer looking to expand my freelancing, but not yet confirmed in the new permanent job. OneTeamGov is interesting as it seems to me to have made an impact on a very broad front. I’ve since sat listening to colleagues talking about it as if unconferences were an alien concept from Mars that landed just this year. One civil servant with a charities background commented: “I’m surprised that unconferences have made it to the central government arena.” Well I was honoured this year to both sponsor and help organise the tenth annual UK GovCamp – so I did wonder what @jeremygould and his fellow innovators from UKGovCamp08 would have made of that remark. To celebrate the anniversary @jaCattell put together memories of 10 years of UKGovCamp. I’ve moved out of limbo now, getting stuck into the new job and anticipating engaging with a wide variety of folk as I do so. I’m also looking forward to more #camping with tickets in the bag for LocalGovCamp17, Healthcamp17 and sponsorship of UKGovCamp18 on the horizon as well. I’m hoping they’ll be great opportunities to swap ideas and help build my network of folk who (with a tip of the hat to @xcaplin & @jukesie) are #OfTheGovernment and #LoyalToTheNetwork. But now it’s time to take the tent down and stow it away for winter. This is the second of a pair of blog posts about the 3rd Open Data camp that was held in Bristol on 14/15 May 2016. See Open Data Camp Hat-Trick (Day 1) for the first post. Observant readers may notice there’s nearly eight months between the two. Sorry about that! Ahead of the weekend @simonperry had done some good work getting participants to introduce themselves via #HashtagNetworking. I’d responded with a “#WLTM folk interested in text as data: extracting entities from unstructured text etc.” So my second day didn’t start with idle meandering and chatting. The third Open Data Camp took place last weekend. I’m proud to claim the hat-trick of attending all three: the inaugural at Winchester in Feb 15, the second at Manchester in Oct 15, and this one at the Watershed, Bristol (great venue). I think perhaps I’ve been doing it wrong. UKGovCamp (#ukgc16) was my 6th civic/digital conference since I started #camping. And I seem to have fallen into this habit of coming back buzzing with ideas and new perspectives, determined to write a great blog post, fully referenced with links and embedded tweets. Just as soon as I have time. This happened after UKHealthCamp in Nov 15 – a brilliant event. Thanks again @puntofisso, @sheldonline, @thatdavidmiller and especially all the clinicians who added so much. I really enjoyed it and have lots more to say, but that sense I’ve got to ‘do it properly’ means that two months later it’s still not started. Just over 7 years ago I hung up my Royal Navy uniform and became a civil servant working for Dstl (the Defence Science and Technology Laboratory). It’s been a challenging and hugely rewarding time. I started in the geospatial intelligence team, working on a variety of research projects as technical lead or project manager (occasionally both). Working with some great colleagues I was able to play the lead role in establishing MOD’s spatial data infrastructure – a technical coherence framework that formed the basis for a major investment in the Defence Geospatial Services programme.